Do you find yourself needing extra pockets to carry things at your local fair or reenactment? Do you long for enhanced style but lack the room to add to your look? 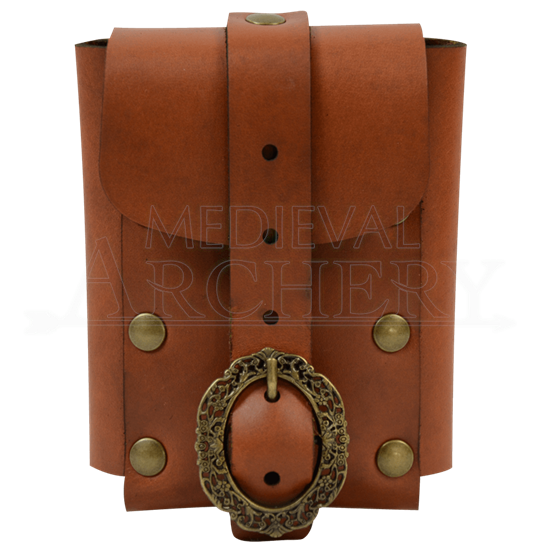 This Medium Nobles Leather Belt Pouch is the cure to either of these annoying issues! Attached to your belt this pouch serves as an extra pocket that is perfect for carrying all sorts of amenities. From thieves tools to tiny trinkets down even to modern amenities, this pouch will hold it all with ease and security. Add in that it features an ornately styled buckle to keep it closed and this pouch becomes an awe-inspiring accent attached to your waist too! The pouch is made from high quality leather right here in the U.S.A and it features a leather loop on the back that will easily accommodate a 2-inch wide leather belt. 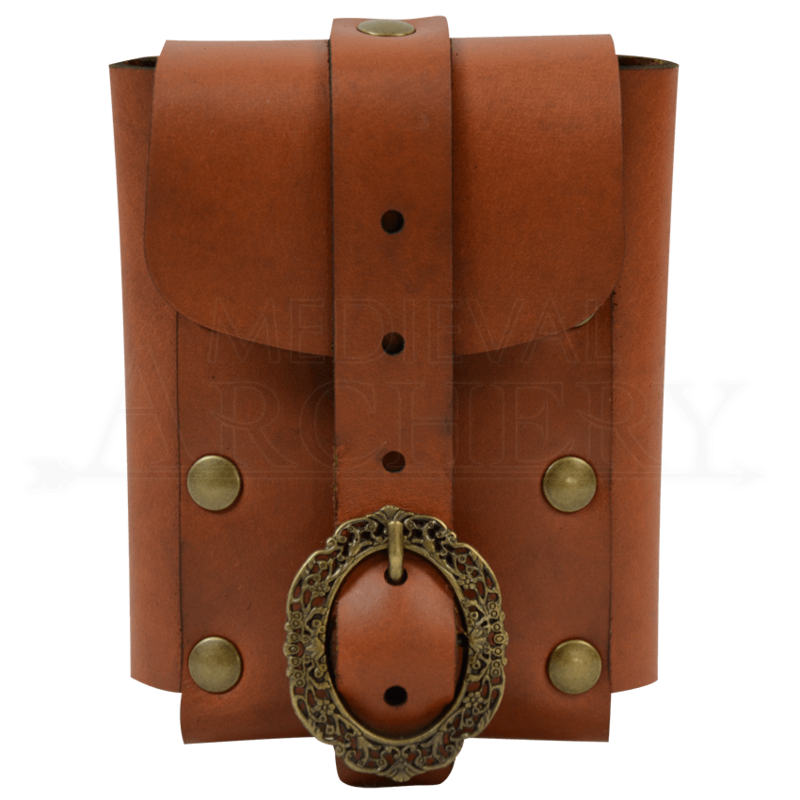 Extra space to carry things and greater style are two qualities that make this Medium Nobles Leather Belt Pouch a one-two punch combo that is incredibly hard to beat!